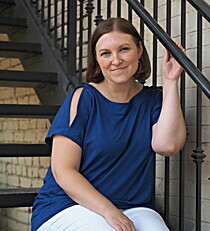 See Kristen Leigh King's author page. and what it takes to focus and grow. I believe in incorporating who you are into everything you do and in the value of a positive mindset to accomplish anything you want to achieve. By combining the mental, creative, and practical elements of goal achievement together, I help women bring their dream achievements to fruition and make the impact they want to make on the world now.